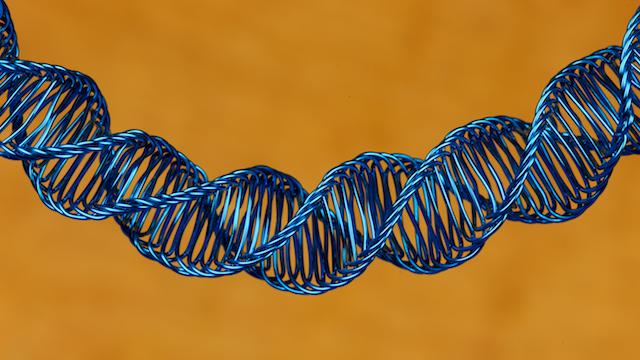 The braids produced with this technique look stunning, resembling the helix of DNA. Neverthekess, they are fairly easy to make and the class is suitable for ages 12 and up. Once you've learned the simple braiding moves, you'll be amazed how relaxing, almost meditative, it can be to braid, while this incredible structure grows in your hands as if by magic. This class assumes no previous braiding or crafting experience, and guides you through every step in detail. It starts out teaching the basic elements of the braiding technique using fiber, resulting in a Kumihimo (Japanese braiding) cord. Then it progresses to braiding with wire, and producing an open helix. The last chapters explain how to add findings to the braid and how to turn it into a necklace. It also discusses a number of variations of the basic technique. Those who already do Kumihimo will be able to use their marudai (braiding stand) and tama (weights), but you won't need to own those. The class shows various possible substitutes (such as modified spice racks for the marudai and film canisters for the tama) that will work just fine. No class I’ve taught has students more delighted than this one! I’ve taught 6th graders and ladies at national conferences, and the results are the same; beautiful helix necklaces and proud, delighted students.